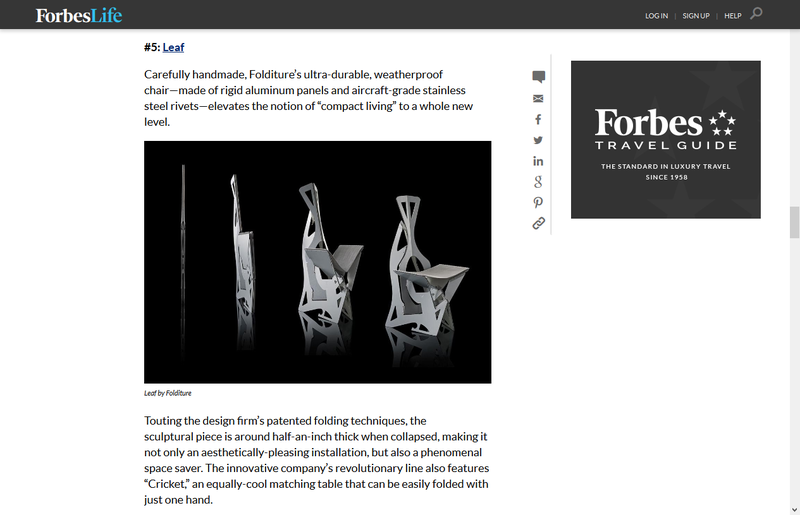 Folditure won a joint Hyland Magazine and ICFF award for Excellence in Product Design, ICFF 2014. The Leaf Chair is in the permanent collection of the Brooklyn Museum, and recently it has been put on display at the Luce Visible Storage Study Center. 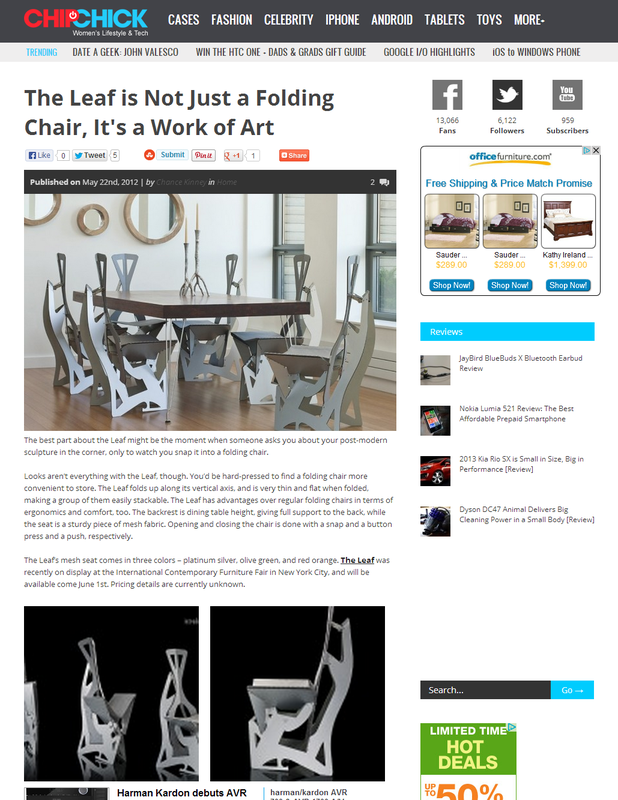 "Last year we wrote about the Leaf chair and it never quite left our minds. Luckily, for this month's Deconstruction, they're taking us behind the scenes to show us how it's done." The Leaf was shortlisted in the SBID International Design Awards Residential Product category for 2012. Folditure presented at PSFK's Future of Home Living exhibit in NYC. Folditure introduced the Leaf at the ICFF in 2012. At the 2013 fair we showed our full line, including the Cricket and the new Tilt. 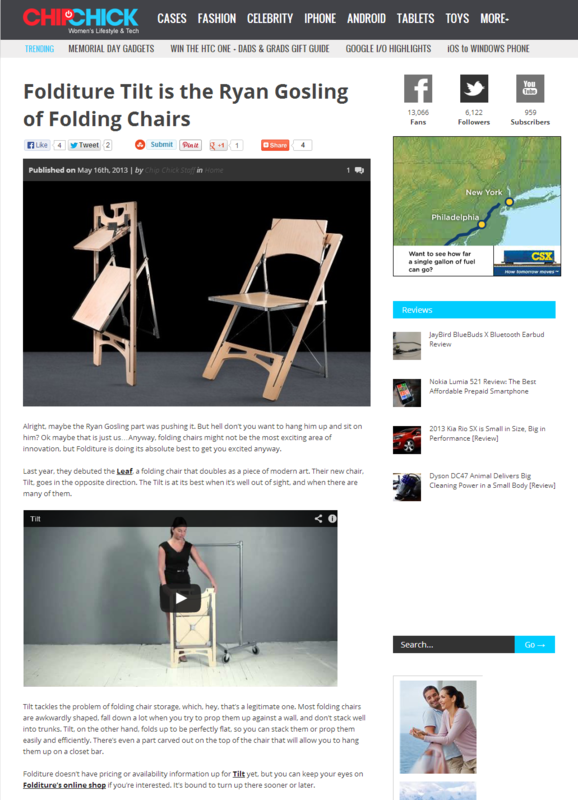 In 2014 we presented the Maya (folding) dining chair. Folditure exhibited at Dwell on Design 2013.